The New England Lacrosse Journal ranked the Top 100 High School Lacrosse Players in New England. There were 26 players from New Hampshire on the list. 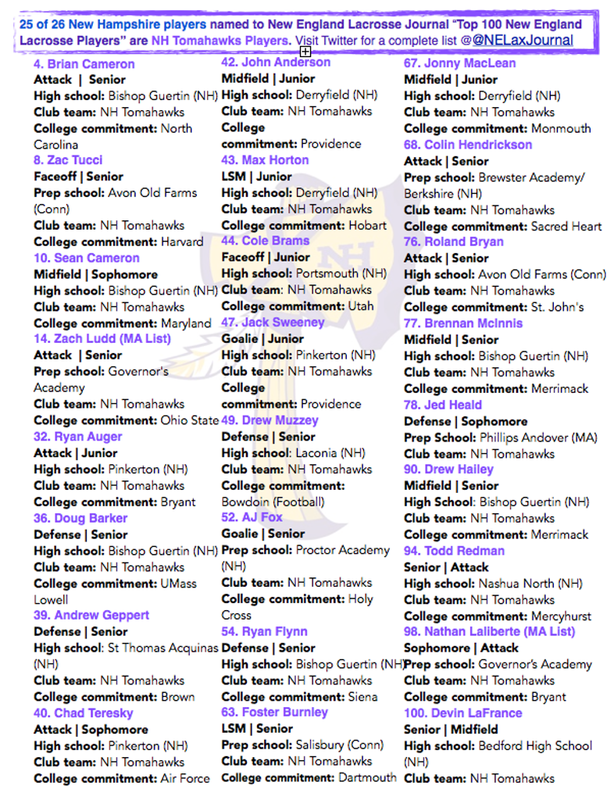 We are proud to announce that 25 are NH Tomahawk players.